Saratoga Floral Design & Wedding Planner: Saratoga Springs, Clifton Park & Glens Falls NY Weddings: Meme's Professionals Can Help! Need help being your own wedding planner? Saratoga Springs NY, Clifton Park, Lake George and Corinth weddings are made more complete and easier to plan with the help these local professionals! The Lake George, Glens Falls and Saratoga floral design professionals at Meme's Florist can help you take care of all the details that will make your wedding day unforgettable! 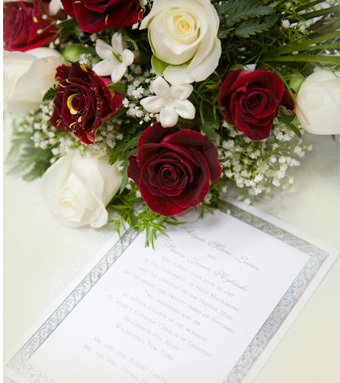 Call Meme’s Florist at 1-866-243-6862 today for more information or simply submit our online Wedding Consultation form! Your wedding at The Lodge on Echo Lake will be talked about for years! Offering exquisite Saratoga lodging, the Batcheller Mansion Inn located in Saratoga Springs NY, is close to downtown shopping, the harness track and Gaming Racino. Gracious accommodations with true Saratoga charm, the inn has all the amenities of a fine hotel, but with the comfort and ease of a bed and breakfast. Step back in time and experience the romance of the 19th century - The Mansion Inn of Saratoga. Everything to do in the Saratoga Springs area, weddings, wedding guide, flowers, hotels, dining, site seeing and more. Everything about Saratoga Springs wedding ideas, flowers, florists, wedding florists, wedding venues, music, catering, photographers and more. Amazing photographs are more than just lighting and timing, they are about having a great experience. Everything about Corinth, NY, the snowshoe capital of the world. Weddings, flowers, florists, hiking, watersports and more. Meme's Florist - Located in Corinth, NY, Meme's Florist is the area's premier wedding florist. Providing wedding flowers for Saratoga Springs, Lake George, Albany, Glens Falls, and Queensbury, see what satisfied brides say on our testimonial page. Lakegeorgeweddings.com - Everything about Lake George wedding ideas, flowers, florists, wedding florists, wedding venues, music, catering, photographers, and more. For unique Saratoga floral design, corporate flower arrangements and beautiful Saratoga Springs flowers for all occasions, Call Meme’s Florist at 1-866-243-6862 today for more information, or simply contact us online!